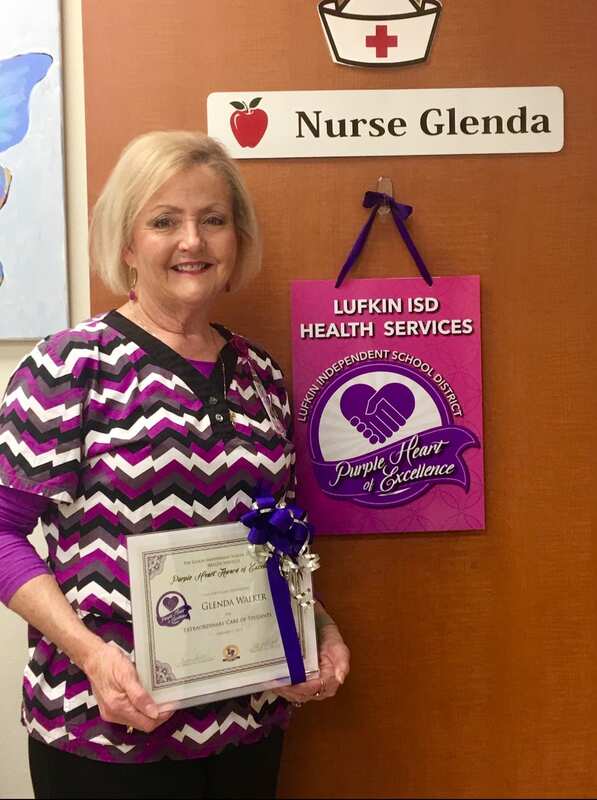 The Purple Heart of Excellence Award for February was awarded to Nurse Glenda Walker. 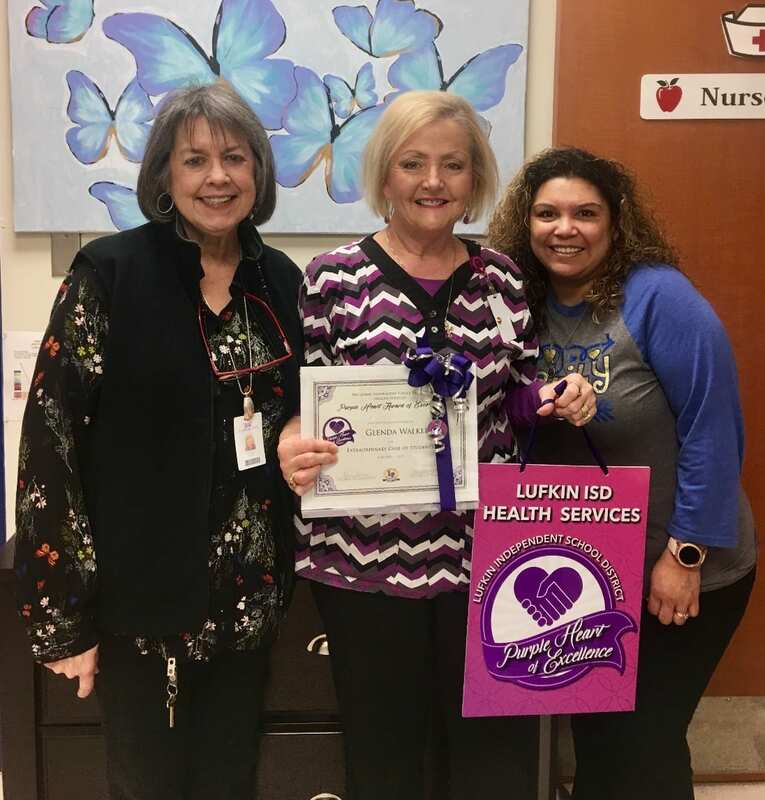 The award is given monthly to a nurse who has demonstrated extraordinary care of students, detailed records, problem-solving skills among other life-saving skills. Nurse Walker has worked for Lufkin ISD for 28 years. She has worked at 8 of the 14 Lufkin ISD campuses!